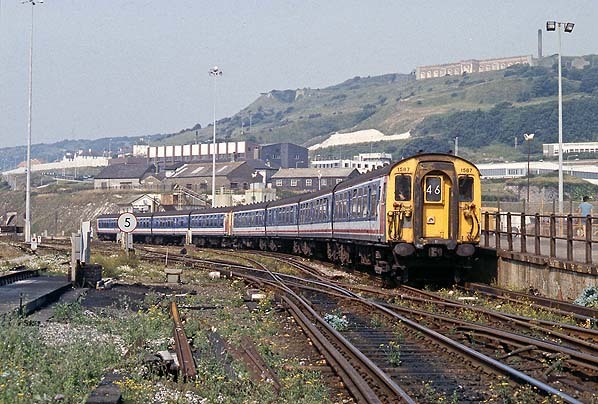 In July 1994 the 08:55 from Victoria is passing through the Dover Town yard on the approach to Western Docks. The rebuilt Dover Town platform is seen on the right. , The remains of Archcliffe Fort are seen on the far right. The south side of the fort was demolished in 1928 to allow the Southern Railway to lay additional tracks. Part of the Western Heights defences are seen on the cliff top.